Russia seems to be launching a silent attack on the supremacy of the dollar and the Western countries, as President Putin is buying gold with “little fanfare, but on a large scale”; as there is no evident economic reason for such an increase, the move will provide Russia with an insurance against crises, according to German media. “It is a silent attack on the supremacy of the dollar,” states German newspaper Die Welt, referring to Russia’s recent increased resupply of its gold reserves. “Russian President Vladimir Putin is buying gold at the moment — with little fanfare, but on a large scale,” it says, noting that in January alone Russia’s gold reserves increased by 20 metric tons. Russia’s stock now stands at more than 1,300 tons, it adds (according to statistics portal Statista, as of February 2016, it is already almost 1,400 tons — 1,392,9). “While politicians fear a new Cold War between Moscow and the West, it has already begun in the financial sector,” the newspaper further states. It also explains that there are no evident economic reasons for such an increase, therefore it might be also an attack on the supremacy of the reserve currencies of America and Europe. “One who buys gold reduces the dominance of the Western currencies,” the newspaper states. 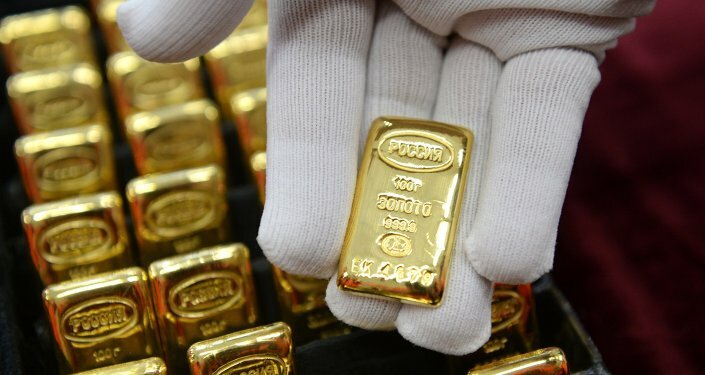 Since 2005, Russia’s gold reserves have nearly quadrupled, it says, adding that in the last twelve months they had grown by more than 200 tons. Ian Bremmer, an American political scientist specializing in US foreign policy and the president of Eurasia Group, a political risk research and consulting firm told the newspaper that money is often used as a financial weapon and in fact, Washington has used the dollar in the past to put pressure on Russia. Therefore the Russian head of state apparently wants to avoid such dependency in the future by using bullion reserves to insure against crises. The metal is recognized and is sought after worldwide, and its stockpile can’t be increased artificially. The newspaper also notes that there is only one country that is buying gold even more actively, and that is China. Its reserves now total nearly 1,600 tons (according to Statista — 1,762,3) – it ranks fifth globally, after the US, Germany, Italy and France. Russia comes sixth. Apparently, China also hopes to get rid of the dominance of Western reserve currencies.